Pens Fatales: I Get a Kick Out of . . . ? Mere alcohol doesn't thrill me at all . . . So sang Frank Sinatra, though there were rumors to the contrary about the lifestyle of Old Blue Eyes. It's definitely true for me, however. I've been a teetotaler since I took a sip of the nasty wine our landlord made in the cellar when I was a kid. They say there's some good stuff out there now, but it's just as well I don't taste it. What if I end up liking it and consuming alcohol the way I do Sees scotchmallows (why doesn't Sees have tasting rooms?) or hazelnut gelato? You'd be holding my hair back every night while I … never mind. 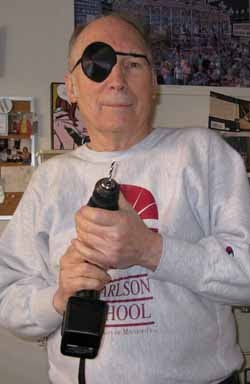 What does thrill me, besides my hubby, The Cable Guy? I knew that the life of my new college math teacher protagonist, Professor Sophie Knowles, might not seem as exciting as that of skillet-wielding Stella Hardesty, for example, so I gave her a medevac pilot, ice-climbing boyfriend. Bruce sleeps in his EMS jumpsuit and answers to the call of the Batphone night after night. For some people, that's more thrilling than advanced calculus. Go figure. I slipped out of ThrillerFest in New York earlier this month and visited the Museum of Arts and Design at Columbus Circle. Walked right into a thrilling exhibit of dioramas like this wrecked 1950s beauty parlor. 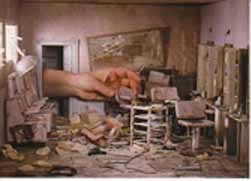 Dystopias thrill me, especially in miniature form—the perfect combination of dark reality and a little bit of distance since nothing's big enough to hurt you. I try to have four thrilling moments before lunch. 1. I solved this exciting riddle: Tom's mother has three children. One is named April, one is named May. What is the third one named? 2. I read this thrilling quote from Alexander Calder, whose birthday is today, July 22: "I paint with shapes." It makes me think I can paint with words. Wow! Big thrill. 3. I got a kick out of these lyrics, rendered by Johnny Cash on the XM country channel in my car: "I've been flushed from the bathroom of your heart; up the elevator of your future I've been shafted." 4. I read the thrilling opening line of "Hexes and Hemlines," by Juliet Blackwell: "It didn't take a witch to figure out something was very, very wrong on the thirteenth floor of the Doppler Building." I'm done for the day and it's only 10 in the morning! What's my biggest kick overall? Those wonderful readers, women and men we meet at conferences or book signings or on Facebook. Especially the followers of Pens Fatales: I get a kick out of you! 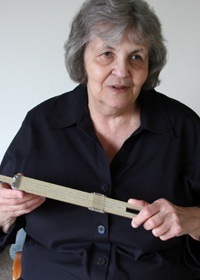 Camille Minichino is the author of three mystery series, beginning with her Periodic Table Mysteries. Her akas are Margaret Grace (The Miniature Mysteries) and Ada Madison (The Professor Sophie Knowles Mysteries). 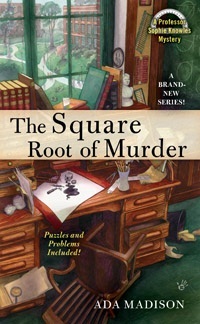 The first chapter of "The Square Root of Murder," (a July 2011 release) is on her website: http://www.minichino.com. Camille, thanks for the compliment! You make me blush :-) I *love* the life philosophy, "have 4 thrilling moments before lunch" How great is that! And that dystopic scene in miniature? LOVE it! Thank you Juliet and Sophie! I'm thrilled to be on this blog with you. Uh oh, that makes 5; I'm on overload! BTW, checked out the new Square Root book -- LOVE it! And I don't even like math! Hi Rachael, I love all your posts and would get a thrill out of lunch with you! Hooray for your math mother! I was so thrilled by the sparkles on your book, Julie, that I glued some on the cover of mine. Welcome back, Camille! It's always a pleasure to read you here. Tell me the 11 trick! Although I'll forget it immediately. Numbers don't stick in my head. Alas. Love the photo of your husband. When my first book was entering the cover decision stage, my editor called to tell me marketing wanted to put either an eye patch or a headband on the hero. Both sold gangbusters. Since he wasn't a pirate, and it was a Western, he got the headband. More's the pity. It made him look like a dork. 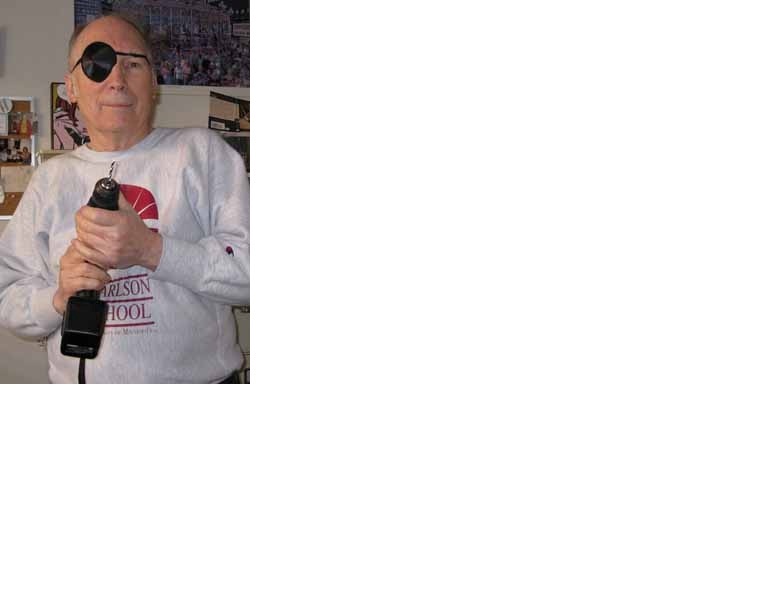 Eye patches, in contrast, never look foolish. So glad someone asked, LGC. Suppose you want to multiply 23 x 11. Add 2+3 = 5, and stick the 5 between the 2 and the 3. 253 is the answer. For 14 x 11, you get 154, and so on. If the numbers add up to more than 9, "carry" in the usual way. So 29 x 11 would be: 2 + 9 = 11, and you get 319. Even if you never need to do this, it's fun to work out the answers while you're on hold with tech support, for example.